A New Hampshire woman was arrested Wednesday after stabbing another woman multiple times with two steak knives for refusing to give her a cigarette. 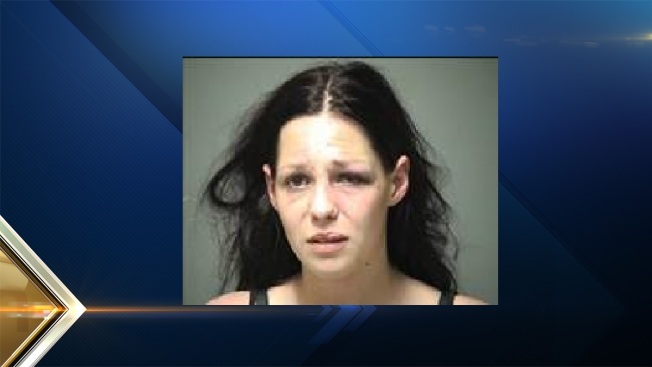 Britteny Indoccio, 27, of Manchester, is charged with three counts of first degree assault. She was scheduled to appear in court on Thursday. Manchester Police said they responded to 53 West St. around 11:25 p.m. for a report of a disturbance. When they arrived, they found a male subject holding a woman on the ground. The male subject said he was sitting on the porch at that address with his girlfriend when Indoccio approached them and asked for a cigarette. Indoccio reportedly became upset because they did not have a cigarette, pulled out a steak knife and stabbed the girlfriend in the right forearm. The male and his girlfriend then grabbed the steak knife, but Indoccio fought them off and retrieved a second steak knife from her sock, stabbing the girlfriend two more times before the male was again able to pin Indoccio to the ground. The stabbing victim was treated at a local hospital for non-life-threatening injuries.